Gains in some of the economic indicators specifically in the reform areas show the potential for improvement in the country’s economy. Guillermo M. Luz, National Competitiveness Council co-chairman, gave this assessment of the country’s chances to remain competitive in the business world even if the Philippines slipped two notches from rank 41 to rank 43 in the latest IMD World Competitiveness Report. “The categories for public finance, fiscal policy, institutional framework, and business efficiency all showed improvements over the last year. Public finance rose by nine ranks while fiscal policy rose by two and institutional framework jumped up eight ranks while business efficiency is up by five ranks,” said Luz. “The Philippines dropped marginally from number 41 to number 43 in the latest round of the IMD World Competitiveness Report, largely on account of lower-than-expected performance in the areas of domestic economy and international trade,” Luz said in an interview last Monday. He cited last year’s 3.7 percent gross domestic product (GDP), which fell short of expectations, as a factor in the slip in rankings. He said the country also registered a drop in exports due to lower orders for electronics, the country’s main export product. However, he said he was optimistic with the country’s chances especially with gains in the reform areas. He said the changes would indicate that some reform measures in governance and public finance had begun to gain attraction that would benefit the country over time like increased interest from investors. According to Luz, the country was one of two countries in the Asean (Association of Southeast Asian Nations) region with improvements in the government and business efficiency indicators and one of only three countries with marginally improved infrastructure. “The data captures last year’s performance. The good news is that adjustments have been made and are now being felt in this year’s first quarter results that recorded a 6.4 percent GDP, which is highest in Asean and second to China in Asia,” said Luz. This showed that the heightened focus on project implementation and delivery combined with continued governance reforms was a winning combination promoting growth across all sectors, said Luz. Luz said the nearly completed creation of Regional Competitiveness Councils in key areas of the country would ensure that the country would be informed of its performance. 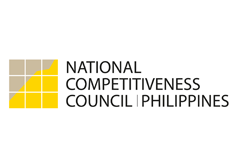 “At the National Competitiveness Council, we feel that regional competitiveness councils can be one of the building blocks of overall national competitiveness,” said Luz. He said the objective would be to strategically map out how to make regions or communities more competitive vis-à-vis selected Asean cities. Luz said the council had met with groups from Angeles, Laguna, Legaspi, Iloilo, Cebu, Tacloban, Cagayan de Oro, Davao, and General Santos in the last two months and had already received commitments to form Regional Competitiveness Committees for all or parts of their respective areas of the country from Region 3 to Region 12.